We are our own worse enemies. We will pick ourselves apart not realizing the harm we are doing to ourselves. There’s an issue with our hair, our eyes, our size, our teeth, etc. Maybe it’s our smile or the way certain things fit. HONEY, please. LOVE yourself, LOVE your body, LOVE what God has blessed you with! Do you realize there’s someone out there who wish they were you? Yes, someone sees you and loves what they see, they would do almost anything to achieve what you dislike about yourself. Each and everyone in this world struggles with things in life. Some hide it, some struggle with it daily and some get over it. I am happy to say that I’ve done all of the above. Now, you know my best way of driving things home is by sharing personal stories. So, this article is no different. Growing up was like any other child. I had great times, fun, got in trouble and dealt with unpleasant moments from peers. But overall, my life was great. There were times I wished I had different hair, more weight, even a different skin pigment. Why? Because what society glamorized as beauty didn’t fit what I had to offer. Size – well, yeah I was skinny, and that’s what was shown on T.V., but I was a bit TOO skinny. There were always constant mind battles going on. I was loved and had friends. People would tell me how pretty I was, but they would also backhand me saying I needed to eat. Hmmmm…..I will eat you under the table. Don’t play with me about some food. Can we say mixed messages? For a child, a teen and even an adult it’s a mind game for sure. I had friends who were not skinny, and I would hear people say how pretty they would be if they dropped a few pounds. I remained silent because it was another confusing statement made and at that time of my life I didn’t know what to say because I wanted to avoid confrontation, didn’t want the tables turned on me, so the best thing for me was to say….“well, I think she’s pretty, and she’s my friend.” Yes, I said it even for people that I didn’t know. Cause usually it made people shut up quickly. Now that I’m older and wiser I point out how such statements may not be received as a compliment. And for the most part, the conversation ends. However, I notice some people disregard the shaming toward a skinny person and want to state how we should take it as a compliment. No thank you, most of us don’t. Usually, more comments are made that are even more hurtful. Yeah, yeah. I will get to this in a later post. Let’s continue about being FABulous! I won’t say that I don’t see size, just as I won’t say that I don’t see color. Cause I do. But, beauty and being FABulous has nothing to do with one’s weight, skin color, finances, physical ability, etc. Being FABulous to me is about self-love and self-acceptance. None of that other stuff matters! Look, once you accept yourself for who YOU are, there’s very little that someone else can do or say to you. 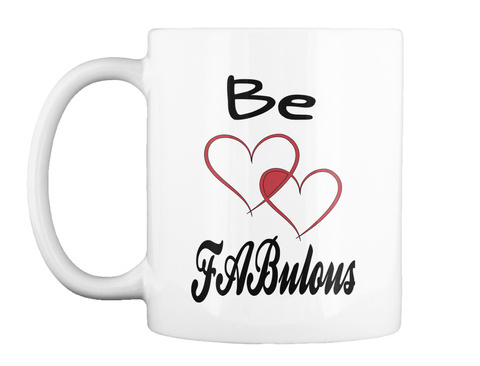 Yes, you may still have those moments where you look at yourself and not like what you see, but turn that mind game around and say…….I’m FABulous today and every day! And yes, I had to get over the mind games too. Tell us about how FABulous you are! Then give this article a share! Skinny, Fit and Fabulous™ is on a mission to talk about body shaming from the skinny perspective. Hopefully, through my stories, we can begin to understand that all body types have different struggles. Things aren’t always rainbows and unicorns as they appear.